View of Rangitoto Island from Shakespear Regional Park, North of Auckland. Oils 50cmx50cm. 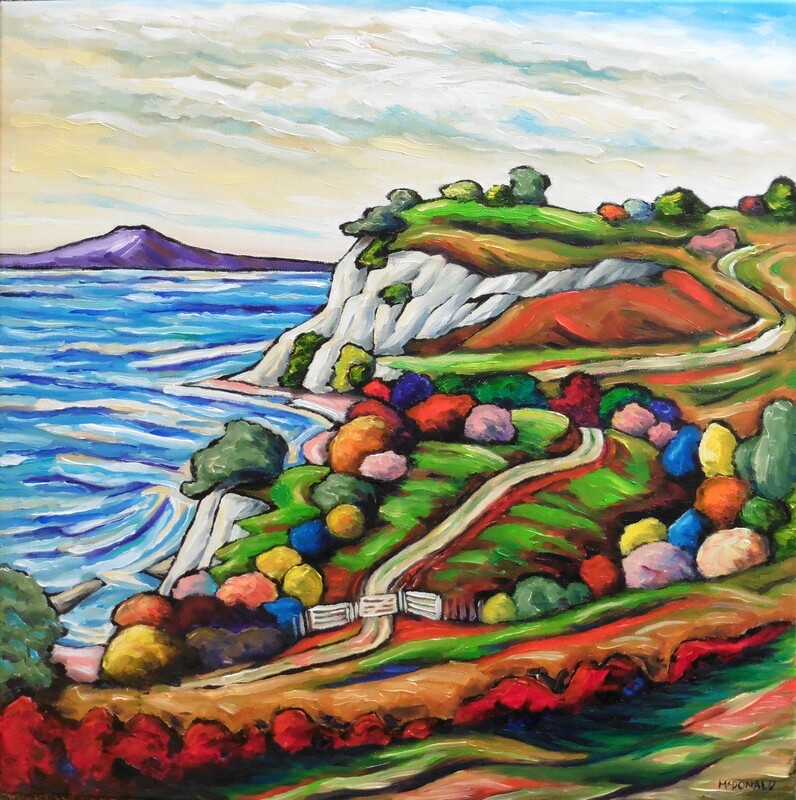 I like this one – maybe it’s the red/green/blue contrasts, maybe the blue trees balancing the sea or the white cliffs/road, maybe the composition. It would be nice to bottle (process/preserve) whatever it is – what do you think? Stunning and I want to be there walking! Bravo Alistair. You’ve cracked the code bro.. To my beady eyes they just keep getting better. Thank you JT. Sometimes I win the raffle and sometimes I have to put it away – this one took 2 goes. One never knows , do one. Beautiful harmony of colour and pattern!